There are currently 10 users and 1184 guests online. I recently did a trip to Coral Bay and decided to have a mechanic service my trailer brakes. After leaving the boat there for a few days, I was advised that the caliper pistons were stuck solid and couldn't be freed on some of the calipers and that the easiest solution would be to but=y new calipers which I did, but I decided that I would not throw away the old ones and that at some stage in the future, I would have a go at freeing the pistons myself. That day arrived yesterday and after much searching on google / youtube etc. I came across 2 articles on using a grease gune to free the pistons. 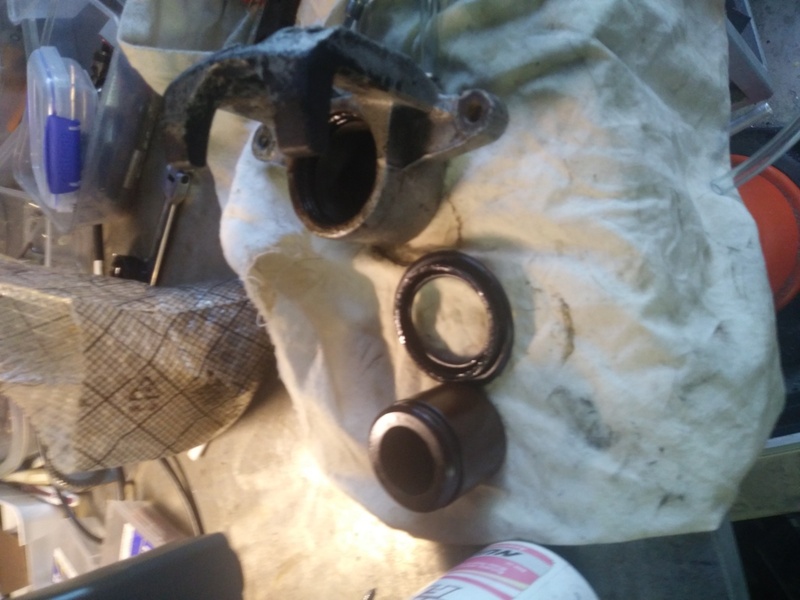 1 simply pumped grease into the caliper. It worked but I reckon woyld leave an unholy mess in the the fluid channel so I decided to try the other route. Modify a grease gun and use brake fluid. This entails clamping the grease gun in a vice with the plunger drawn back and the lever at the bottom. Fluid was then put in to the gun till I had a reasonable amount covering the grease gun piston. 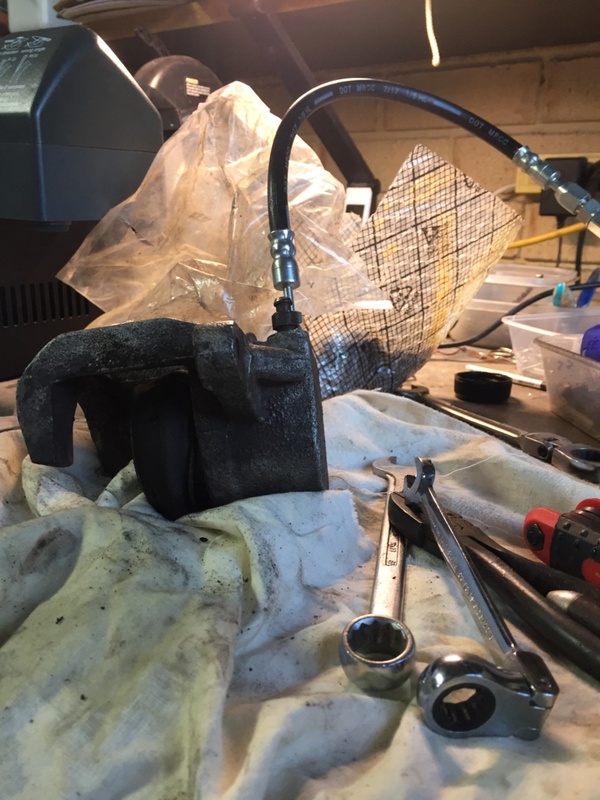 I had a few couplings made up so I could attach a line to the grease gun - then - crucially to a check valve so that fluid passing the check valve remained under pressure upstream and then a line from the delivery side of the check valve to the caliper. Having worked as a trailer mech in the past, and reconed a few calipers, if your spending more than an hour on them you might as well fit new due to what the hourly rate mechanics charge vrs new. But if your doing it at home and time isn't an issue your way of removing a piston is good. Always good to have a few spare calipers. Agree with you holth, being in business at one time, trying to explain to customers the cost of labor could be as much as a new part, and the old part might be in poor condition any way, was a constant happening. And if you did recover the old part and it wasn't as good as new, you would get the blame for not doing a good enough job. compressed air............... as the name suggested air compressed fluid does not! And if using compressed air and the piston moves, keep your finger clear because F#&K it hurts ! Hence why the grease gun was able to push it. Having said all the and agree with the comments above about labour cost. But Id have thought maybe a workshop that does brakes exclusively would have it set up so it only takes 5 minutes to connect and free up?